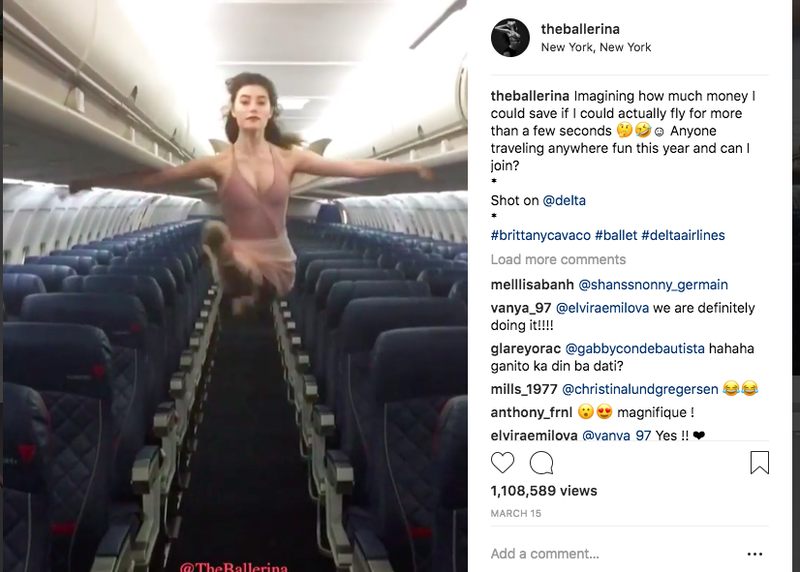 @TheBallerina’s social media follows my journey’s as ballet dancer, model, blogger, traveler and pilates instructor. I enjoy collaborating with brands that I LOVE and creating unique posts that come across as genuine, as opposed to “an advertisement” to my followers. I currently have over 200,000 very active followers and receive on average 3.45 million weekly impressions. My likes on average per post are from 10,000- 15,000 and my video views range from 50,000- 3,000,000 per post. 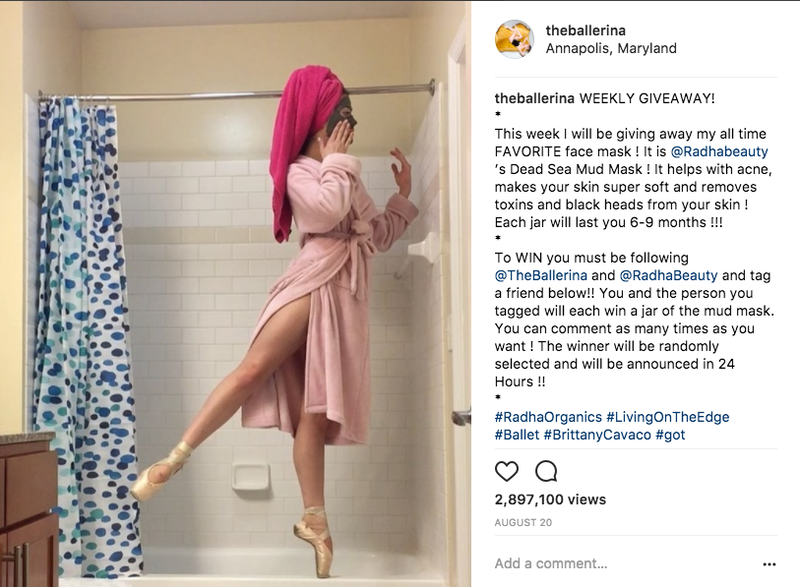 I have done Campaigns and Instagram collaborations with brands such as, Fuji Film, Panera Bread, Hunter Boots, eos, Delta Airlines, The Hong Kong Tourism Board, The City of London, The Megeve Tourism Board, Polaroid, Daniel Wellington, Radha Beauty, Harvest Snaps, Alo Yoga, Freshly, Capezio, So Danca, Enlightened, Halo Top, Oye Swim, Flag Pole and more. I have also danced around the world and partnered with amazing 5 star luxury and boutique hotels such as, The Four Seasons, The Grand Hyatt, The Westin, The Conrad NYC, The Katamama, The Andaz Wall Street, The Quin, The Intercontinental, The Palazzo, Caesars Palace, The Hyatt Regency, The Villa BelRose, Kupu Kupu Barong Villas, The Wagner, Wapa di Ume Resort, Live Aqua Boutique, Princess Yucatan Platinum, Valentin Imperial Maya and The Excellence Riviera Cancun. To see my social media promotional kit please click here ! To see my campaign rate kit and examples of campaigns I have done click here ! Below are examples of my collaborations ! Collaboration with the Andaz Hotel in NYC. Collaboration with The Hyatt Regency in Nice. Collaboration with La Clef Lourve in Paris and Winsdesign. Collaboration with The Nolinski Hotel in Paris.